Summer heat can be really a big cause of trouble. Having some yummy non-alcoholic cocktails to beat the summer heat can be a great idea. But, the question is which cocktails to try this season? 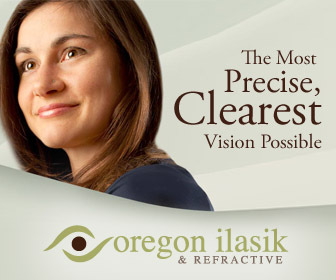 There are so many options. Lemonades are too simple. Smoothies are too mainstream. So, what can you have in non-alcoholic drinks this summer? Is there any drink which you can make at home without stressing yourself? Well, no need to worry. 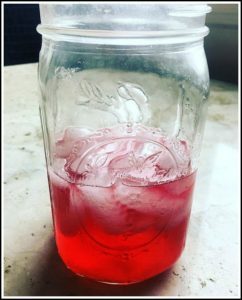 We are going to share some easy to make non-alcoholic cocktails that anyone can try out at home to escape the Oregon summer heat if only for a little while. Even the mention of watermelon brings a sense of coolness. This is the reason that first cocktail on our list is the sparkling watermelon spritzer. All you need to prepare this drink is approx. 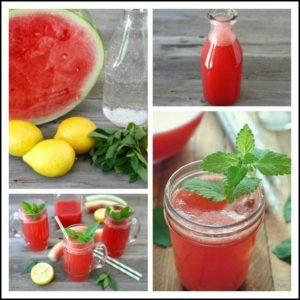 6 pounds of watermelon, frozen lemonade concentrate, pink lemonade concentrate, club soda and fresh cut lemon slices to garnish. Blend the watermelon slices, and pour into 2-quart pitchers. Melt the lemon concentrate and pour over the puree. Refrigerate overnight, and serve on the rocks. 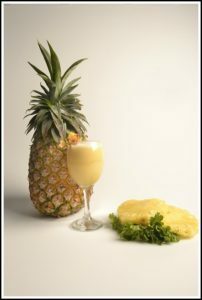 Another summer surprise that we have for you here is the Pineapple Cooler. To prepare the drink, cut pineapple slices into 1-inc pieces. Make puree of the pineapple slices, and transfer in a container. Add sugar, water, and herb sprigs to the container to taste. Simmer over medium-heat for fifteen minutes. Strain the mixture by gently pressing the pieces to extract juice. Cool and stir to serve over ice. Garnish with sprigs to make it look even more beautiful. How can a list of cocktails be complete without the mention of ice tea? So, this one is for all tea enthusiasts. Prepare ginger tea by boiling ginger in water. Strain the tea. Now prepare a punch using lemon and orange juice, along with cranberry-raspberry juice. Mix the punch and tea to serve over ice. And the cocktail is ready to soothe your body off the summer heat. Just to make sure that the list does not go without the mention of the most loved lemonade drink, we have added this amazingly refreshing drink to the list. Like the name suggests, it is made using rosemary and cucumber. All you need to do is prepare a puree of cucumber and rosemary in a food processor. Strain the puree in a bowl. Add lemon, juice, agave syrup (to taste) and water to the mix. Stir until agave gets completely dissolved. 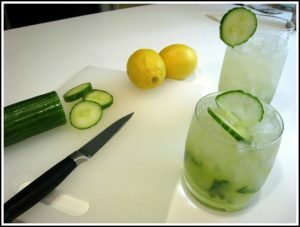 Garnish with cucumber slices and rosemary sprigs and enjoy the drink with your loved ones. There you have some simple, quick and easy to make non-alcoholic cocktails that anyone can prepare at home. You don’t need anything special for these. All you need is just a few minutes and that’s about it. So, are you ready to beat the summer heat this season with these refreshing drinks? Give these drinks a try and see how they work! Healthy Breakfast Recipes That You Can Make In Minutes - With Eggs!